The “spoiler” tag at the top of this article isn’t meant to fool people into thinking they’ll be hearing about something happening in the future for Once Upon A Time… but in the event that someone has not seen the first seven episodes of the series, it’s still worth giving a fair warning. 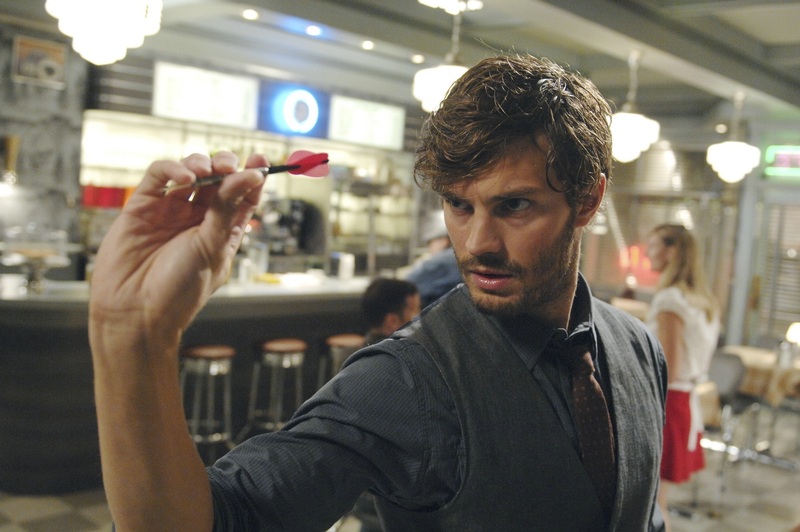 For those of you who have seen it, then you certainly remember one of 2011’s finest episodes, “The Heart Is A Lonely Hunter,” where a kiss awakened Sheriff Graham (Jamie Dornan)’s original fairy tale life, making him remember it all… only to have him pay the ultimate punishment at the hands of Regina – literally – in a heart-crushing moment to outdo all heart-crushing moments. The episode spurred a lot of controversy, with many wondering why Once had to go and kill their favorite sheriff. The episode forum for “The Heart Is A Lonely Hunter” at KSiteTV inspired more comments than any other thus far. “The character was designed for this arc,” Kitsis revealed to the room of around a dozen reporters. “We knew that when we were picked up, the air schedule was that we would do seven [episodes], and then go off for Christmas break. We were like, ‘let’s kill someone.’ Because, you know, when Henry said in the beginning ‘the final battle begins,’ we as writers felt like ‘well, if there weren’t stakes to this battle — if there weren’t casualties, people would start to think that maybe it’s not that strong of a curse.’ Jamie knew when he took the role that it was only going to be for seven. The reaction that he had was great for us, because the other worry you have is ‘no one cares.’ It’s the old ‘well who cares? They killed someone we don’t like!’ It’s like when there’s ‘a shocking death this week’ and it’s ‘Waiter #4,’ and everyone cries foul. You’re like, ‘well that’s BS. That’s not a real death.’ So we wanted to give a real death. No one’s more upset than us, because we loved him. Writing the Huntsman was awesome,” he continued. As mentioned earlier in this article, Graham’s death opened up his memories. Might we see more characters remembering their “other selves?” “I would say I’d be pissed if something didn’t happen [like that],” Kitsis revealed. “The bleed between worlds is something that we’ve played with and continue to play with, and the levels to which we’re going to go, we don’t want to give away right now, but it’s certainly a part of the series going forward,” Horowitz added. Once Upon A Time returns with “Dreamy” on March 4! Take a look at some images from the episode and be sure to come by KSiteTV’s Once Upon A Time forum!